During its quarterly earnings call this week, Take-Two Interactive confirmed that it's big secret game coming out of 2K Games is still on schedule to release before the end of March 2020. So, what is the game? Well for awhile now it's been believed to be Borderlands 3, which is backed up by a lot of semi-collaborating evidence. However, some think the secret project is actually referring to a new BioShock, which is also said to be in development. Unfortunately, Take-Two CEO Strauss Zelnick didn't divulge any further details on the project that shed light on what game it could be, but he did note that in addition to being on track, Take-Two has "very high expectations" for it. It's worth noting that it may not be either of these games, but looking at 2K's library, I don't see how it could be any game but these two. It's certainly not another Mafia. And I don't think another XCOM is on the agenda for the next 12 months either. Plus I don't think either of these games would drive Take-Two to have very high expectations, especially not XCOM. Given that there's been numerous teases and leaks of Borderlands 3 for awhile now, it's almost certainly the post-apocalyptic game. And this means we probably won't be getting another BioShock for quite some time, possibly not even before 2021. Alas, at this point all we can do is speculate. Everyone and their mother's dog thinks its Borderlands 3, and their probably right. But I'm sure BioShock fans aren't ready to quite give up on the idea that it may just be a new BioShock we're getting. 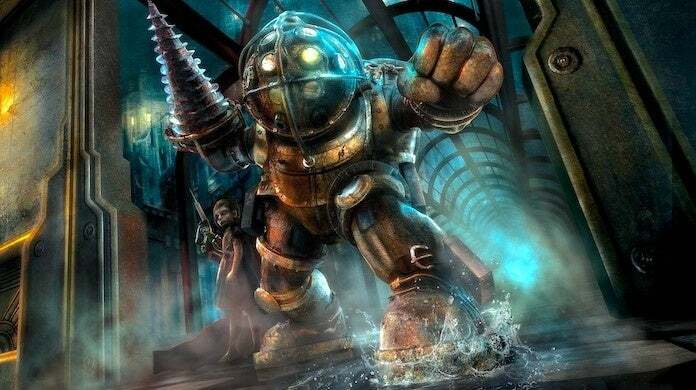 I know I'd personally prefer the latter, and given all the controversy surrounding Borderlands and Gearbox recently, I wouldn't be too surprised if Take-Two also wishes it was BioShock and more Big Daddys. Anyway, as always, feel free to leave a comment letting us know what you think or hit me up on Twitter @Tyler_Fischer_ and let me know there. What secret game do you think Take-Two is planning on releasing in the next 12 months? What game would prefer it be?